Our goal at Distinctive NatureScapes, Inc. is to offer commercial and residential properties across the state with professional landscape design services at a price that they can easily afford. And, for years, we have rendered our expertise in countless design projects in Charlotte, Salisbury, Concord, and many other North Carolina areas. Our company portfolio proves our skills and design aptitude since all our designed landscapes show harmony, balance, and functionality. Before one could expect to have a stunning landscape that is also safe and has all needed functionalities, it’s vital to first have a well-designed landscape plan. By having a professionally rendered landscape design, it’s possible to make the outdoors more enticing and fun to be at. Things like having complete outdoor living amenities, proper positioning of all landscape features, and skilled installation of all elements (hardscape, water and fire features, and softscape) all guarantee a property that deserves awe and admiration. Having a smart design plan will ensure the safety of everyone going around the landscape. You could also expect total comfort and satisfaction when you have vital amenities and structures, such as an outdoor kitchen, fireplace and fire pit, pool, pond, or gazebo. All of these landscape additions will make your outdoors truly functional and able to provide your outdoor living needs no matter what the season is. And, of course, a well-thought-out and executed landscape design will enhance the beauty of your outdoors and even raise your property’s market value. What Makes Our Landscape Design Services the Best in NC? Sure, there are other companies in the state with same offered services as ours, but not all of them can proudly claim to have achieved exceptional results each time. Whether it’s a redesign of an existing landscape or a brand new plan for a soon-to-be-developed property, we at Distinctive NatureScapes, Inc. offer the best value-for-money design services in the state. 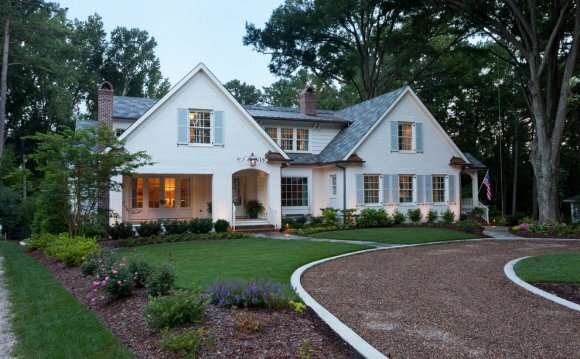 From private residences in Charlotte to commercial properties in Salisbury, we have the expert manpower and the most advanced design tools that allow us to complete our landscape design projects with considerable ease and guaranteed positive outcomes. Our modern design software provides easy modification and offers clients concrete idea on how the landscape will look if installed. They can choose whatever features they want to include in the design, and our creative team will incorporate such specifications in their plan proposals. Our landscape designers can create certain themes to complement existing structures in the property. We can come up with stunning and highly detailed landscape designs for residential and commercial properties regardless of the size of the area involved. Accordingly, our designs are praised for their uniqueness, a high level of personalization, and wonderful functionalities. Best of all, our rates for landscape design services are highly affordable and flexible. This means that you can have your needed professional design services even if you have set a small budget for it. Call us today at (704) 630-0007 for inquiries. We also urge you to come to our office during business hours so we can better address your concerns. We service Charlotte, NC and nearby areas in the state. Casino playing blackjack cheating has existed since provided that the match was played.